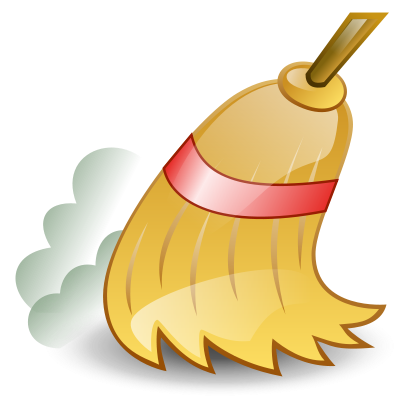 Sweeping is much better than getting swept. After the lost weekend in Los Angeles against the NL West’s first place Dodgers, facing the last place San Diego Padres was a nice way for the St. Louis Cardinals to get back on the winning track. The Cardinals completed the sweep with a 6-3 victory. This was the fourth sweep the Cards were involved in this month — and now the second positive one, after sweeping the Diamondbacks May 7-9. Following that, the Braves swept the Cards. Last night’s game also helped several players get back on a good track as well. After beginning the season with a 6-0 record, Lance Lynn stumbled a bit during his last two starts. And while he wasn’t at his best last night either — he gave up three runs in the first inning, including a lead-off homer to Will Venable — he settled in after that and pitched five scoreless innings. Carlos Beltran: He hit a two-run homer in the fifth that put the Cardinals on top 5-3. It was his first homer since Mother’s Day. Marc Rzepczynski: After three straight outings in which he allowed runs, Rzep pitched a scoreless one. He gave up a single to the first batter he faced in the eighth, but the runner was quickly erased on a double-play, which was followed by a strikeout. We need a nickname for Matt Adams. Yes, I know (thanks to Twitter) Patch is what his minor league teammates call him. But there’s got to be something better … something along the lines of Wolf Pup for Lance Lynn (which was courtesy of our friend Teraesa last year). Ideas? All in all, a nice win and a nice series for the battle-worn Cardinals — who, despite the addition of Matt Carpenter, only have seven players on the DL compared to those poor, poor Dodgers with eight. However, even their long list pales in comparison to the Red Sox, with 13. Why doesn’t ESPN ever talk about the Red Sox? Speaking of DL, Lance Berkman is undergoing arthroscopic knee surgery this morning (as I write this, actually) in his hometown of Houston. Read more about that from Joe Strauss of the St. Louis Post-Dispatch. UPDATE: LB’s surgery was moved to Friday, according to a press release from the Cardinals, due to a conflict in the surgeon’s schedule. Finally, the Cardinals begin a four-game series tonight against the last-place — yes, last-place — Philadelphia Phillies. They’ve had injury problems of their own. Besides Ryan Howard, who we last saw make the final out of the NLDS last October and rupture his Achille’s tendon, the Phillies have eight other players on the DL. Wait, that makes nine. So more than those poor, poor Dodgers??? Anyway, Jake Westbrook gets the start for the Cardinals tonight and faces Joe Blanton. Game time is 7:15 p.m. Central. If you get MLB Network, tonight Bob Costas is doing the play by play for the Phillies/Cardinals game on their telecast. Bob Costas always takes me back to those lazy Saturdays when I would spend a few innings watching baseball on NBC, and then spend a few innings going out and re-enacting what I just saw by throwing a tennis ball against my dad’s tractor. If you’re in the St. Louis broadcast market (which I am, even where I live) the MLB Network broadcast was blacked out — meaning Ricky and Al instead, which is the worst of all the FS Midwest combos. I do enjoy Bob Costas doing being baseball.